From being the son and disciple of a renowned Santoor player to establishing an identity of his own, Rahul Sharma has come to long way. Today he is the face of 21st century Indian classical music and is emerging as one of the finest and most innovative instrumentalists. His captivating performances are aimed at taking the Santoor onto a new level of popularity. He has already entered into a number of successful music collaborations with international artistes and even composed music for a Bollywood film. Spring captures his performances at the Annual Saptak Festival one of India’s most prestigious musical gatherings. This performance is based on Raga kalavati a popular raga adopted by the North Indian Hindustani musicians from the Carnatic music System. The performed begins with the customary alap an unhurried improvised note by the exposition of the Raga. This is further divided into three distinct parts, alap, Jor and Jhalla. The Jor section is marked by the introduction of a gentle rhythmic pulse, sensitively played by Pt. Bhavani Shankar on Pakhawaj. This is followed by the Jhalla section Marking a swift increase in pace. 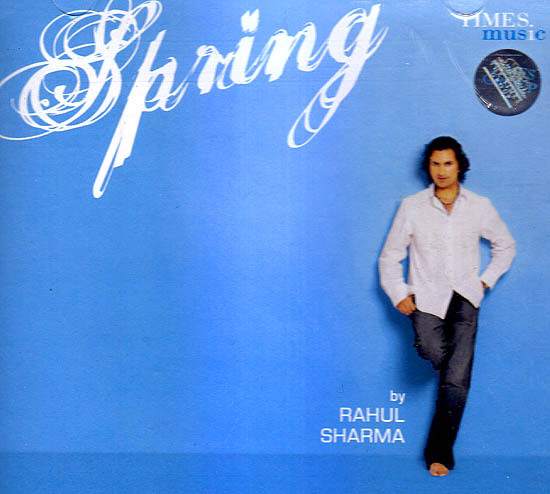 This Alap section is followed by three Gat composition on which Rahul Sharma is accompanied by Shafeat Ahmed Khan on Tabla. The first Gat played in a rhythmic cycle of seven beasts incorporates a rich melodic sense combined with a keen grasp of intricate rhythmic permutations. The performances concludes with a second Jhalla this time providing a platform for some skillful gallps to a finale at an electrifying tempo the Pakhawaj joins in to play an elaborate synchronized phrase repeated three times to round off an invigorating recital. A sumptuous evocation of the delicate and powerful interplay between the ascending talent of Rahul Sharma and the great percussion masters of Pakhawaj and Tabla.